It’s Spring and soon will come summer. Returning in nature beautiful creations like flowers, fireflies and butterflies. we can also make more beautiful and alive our clothing from past summer and spring or new ones too. In that you can use appliques. appliques you can buy, but why there is question if you can crochet them with your hands. 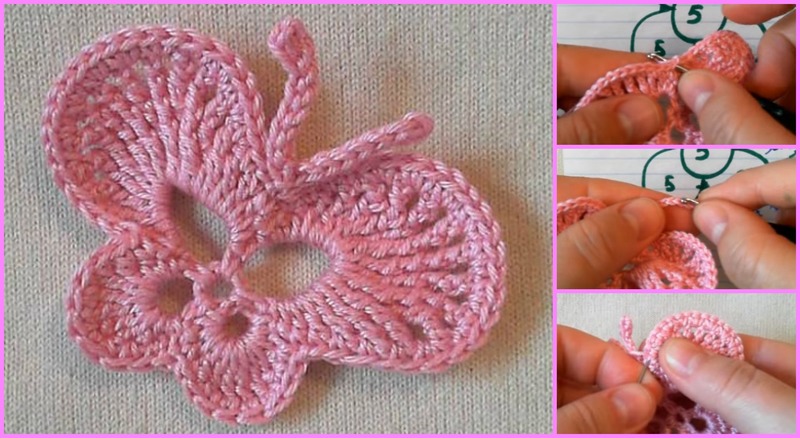 We have another free pattern and video tutorial for Beautiful Butterfly applique. Video tutorial is in Russian Language, but Pattern is in English, so we hope you will understand everything clearly. Thanks to authors for tough work and lovely design.